Long weekends have a built-in preference for the obvious. 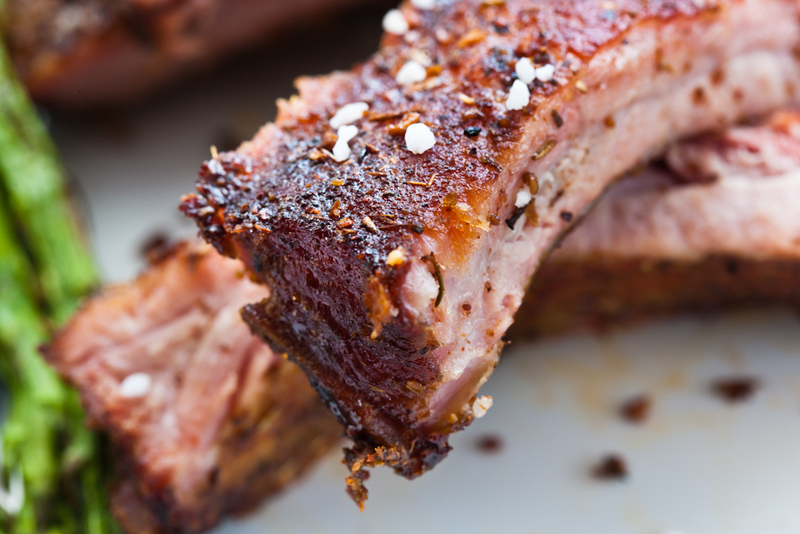 Get into the water, fire up the BBQ, indulge the palate, imbibe of good drink. Relax, chill, take advantage of the last free stretch before the race begins again. 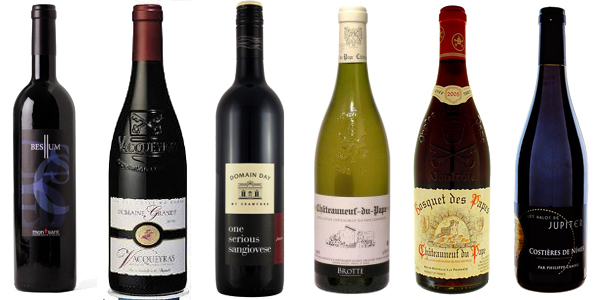 When shopping these next few days, here is your list of weekend wines. The Austrian-born Kurt Gödel arguably came out with the two most important mathematical theories of the 20th century. We share a surname, but the comparisons end right there. I’ve no intention of acting out a Julie and Julia here but I will offer up some reviews that aim to illustrate Mr. Gödel’s P=NP theory and its connection to wine. Gödel’s proof of his 1929 completeness theorem may be his lasting legacy, including serving as a basis for Calculus taught in higher learning institutions. He later wrote a legendary “lost letter” in 1956 to von Neumann that stated his famous incompleteness theorem, a proposal so complex and far-reaching that it too pertains to wine. Gödel’s theorem states that within any axiomatic mathematical system there are propositions that cannot be proved or disproved on the basis of the axioms within that system; thus, such a system cannot be simultaneously complete and consistent. To simplify, it says that a ‘system’ cannot be understood (or ‘described’) without the ‘rules’ of a ‘higher’ system. Apply this theory to fermented grape juice. Within a bottle of wine there are perceived aromas and tastes. Their presence cannot be proved or disproved. They exist in the eyes, nose, mouth and most importantly, the mind of the taster. Even the perception of colour is subject to debate. Add to that the issue of bottle variation and no critical or amateur rendering of a wine’s quality is complete and consistent. Any object (such as wine) being described is, by definition, a subset of the system in which the description is being offered. It is true that the more you taste the probability of ability to determine the quality of a wine increases. But to be a successful critic, you have to bring life to the mainstream. 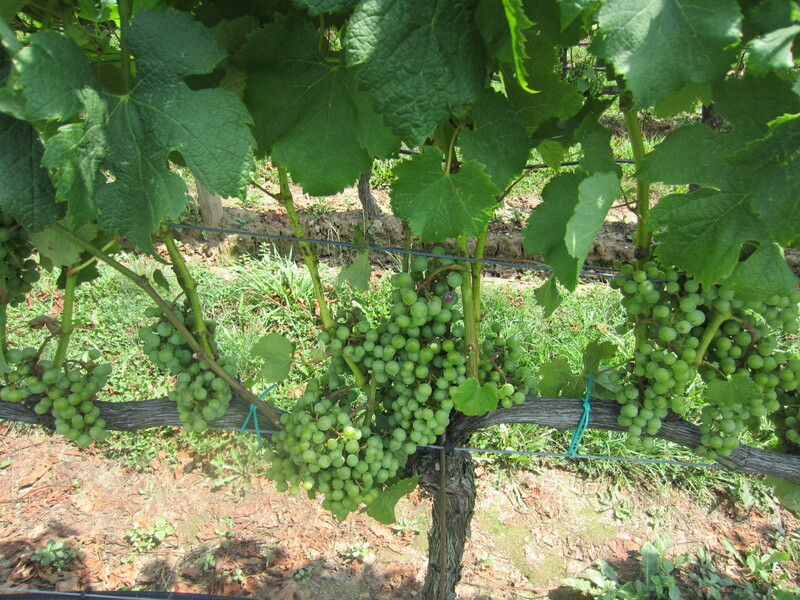 Wine critics repeatedly refer to varietal correctness, to specific descriptors (licorice, cassis, graphite, generous, supple) and to terroir, that is, the land which makes the wine come to life. 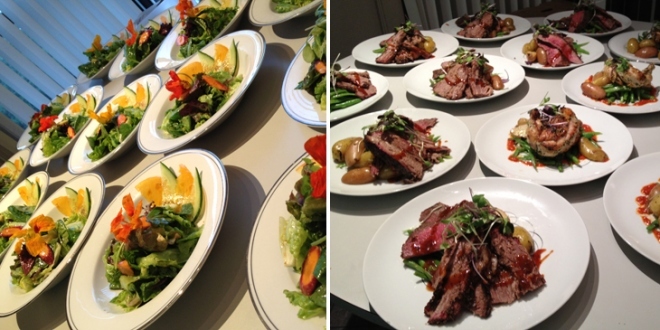 Wine and food are always on the brain. Twenty-four seven. Produce picked from an Ontario backyard will seek out, then effortlessly accrete with Niagara and Prince Edward County grapes. Meats off the barbecue or out of the smoker are rapt to deeply cut, sub-tropical reds, voices possessive of a pantheistic tenor. 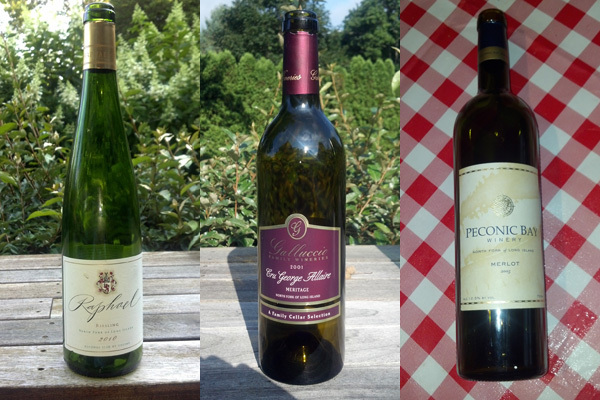 Here are seven wines and four food ideas to wend pleasure your way for the last two weeks of summer. The Atlantic coast is flush with dramatic terrain. I have marveled at the Gaspésie, Prince Edward Island, Maine, Cape Breton and Cape Cod. Who can discount the beauty of Chesapeake Bay, Kiawah Island and Myrtle Beach. What confounds is that from Newfoundland to South Florida, one spit of land is not only hospitable, but outright conducive to growing grapes. Risking an avocational hazard of overestimating interest in the topic, in case you hadn’t heard, eastern Long Island produces great wine. With no disrespect to the manicured Hampton vineyards of the South Fork, it’s the stellar whites and reds of the North Fork that are turning heads. While invisible to most of the planet, they are well-known to the island’s cognoscenti, in Manhattan restaurants and across the boroughs. Locavinous, locavore Bruce Bushel of South Fork Kitchen is a champion of the industry. 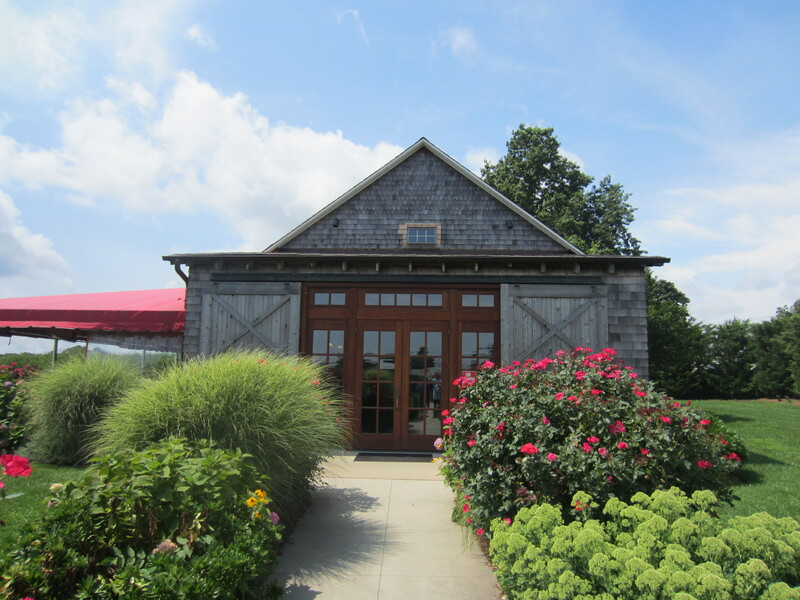 His Bridgehampton restaurant features seven domestic table wines on tap. An additional five sparkling, nine white, four rosé and five reds are available by the glass. There are a further 37 by the bottle. That’s commitment. I tasted through a few that paired beautifully with oysters and crispy Sardines. Somewhere around 10,000 years ago there lived a group of Paleolithic Native Americans known as the Clovis people. Their spear tips were found on the land where this 11-year old winery farms and fashions less than 2,000 annual cases of garagiste Merlot, Cabernet Franc, Cabernet Sauvignon and Chardonnay. Managing partner Hal Ginsburg arranged for me to meet manager Kelly Bruer for a revelatory tasting of Clovis Point’s portfolio. 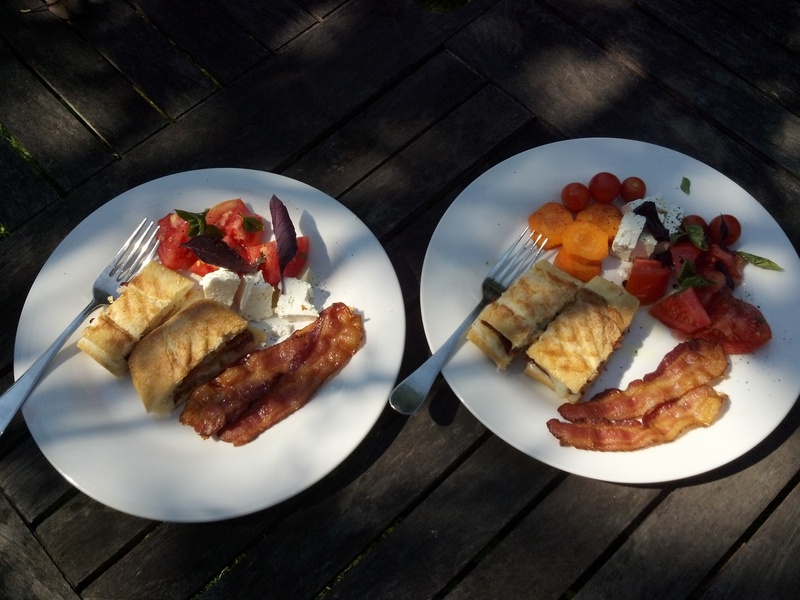 Bruer is as close to a native son as you will find on the North Fork of Long Island. 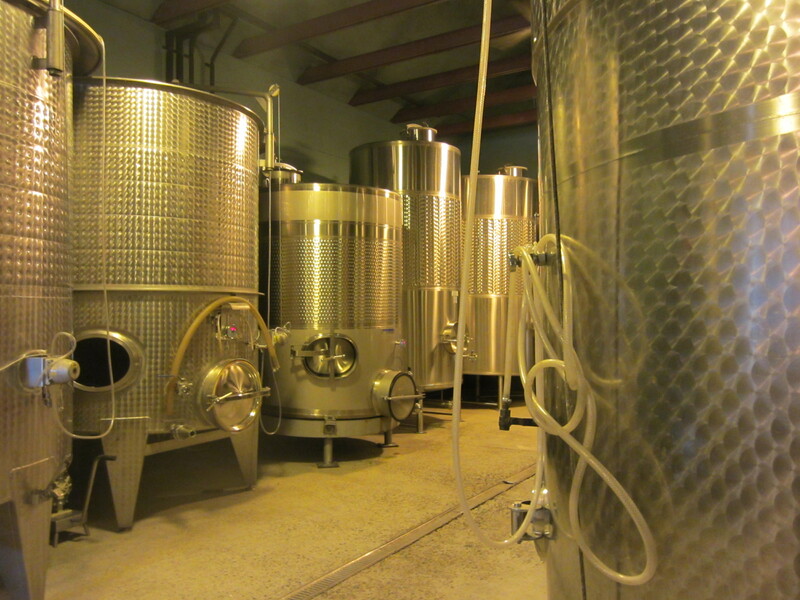 He began his immersion life as a teenager on a journey for all things wine. He is at one with this spit of land measuring less than six miles between Long Island Sound and Peconic Bay, speaking more of micro-climatology than he does of terroir. Vines here must survive and thrive in sand and gravel soil (if you can call it that), where organic matter comes at a premium. Ocean waters and breezes work their saline ways into the wines, more obvious of note in whites. What is imbued to reds is a fascinating calm that neutralizes harsh varnish lines, resulting in beautifully balanced Merlot and Cabernet Franc. This is the North Fork’s somewhereness, something Niagara reds strive towards with hopeful and exponentially maturing vines, yet still remain in search of. Considering that the 1961 Palmer is one of the legendary wines of the universe, naming your Long Island winery as same might seem a bit surreptitious. If your name happens to be Robert Palmer, then all is forgiven. His eponymous vineyard is one of Long Island’s oldest with a wine rep cemented in good standing. In 2006 Miguel Martin was hired as winemaker and the rest is, history. Martin is a native of Madrid, Spain and has worked around the globe, in his homeland at Gonzalez Byass, in California for Robert Mondavi and in Australia with Yalumba. Family man (three daughters) and Paella master (he promises we’ll cook together next visit), Martin too is obsessed with weather more than soil. 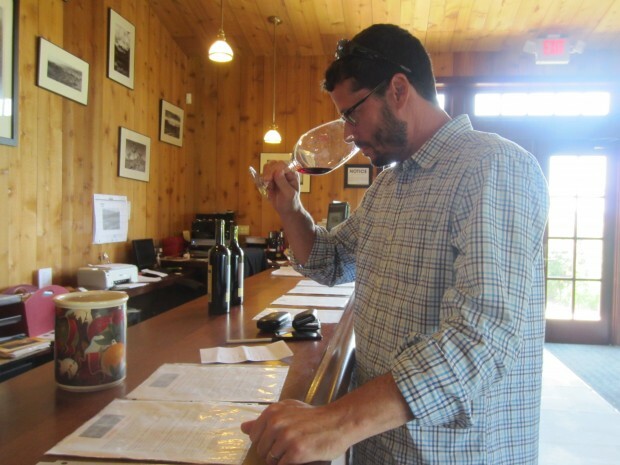 While he shares a North Fork ardency for Merlot, Chardonnay and Cabernet Franc, he also has a vision to experiment with European varietals like Albarino and Muscat. I ask him about Tempranillo. He notes that reds out here struggle to achieve maximum ripeness so the great grape of Spain is just not in the cards. Martin guided me through wines from tank, barrel and at the winery’s tasting bar. Martin is a native of Madrid, Spain and has worked around the globe, in his homeland at Gonzalez Byass, in California for Robert Mondavi and in Australia with Yalumba. Family man (three daughters) and Paella master (he promises we’ll cook together next visit), Martin too is obsessed with weather more than soil. While he shares a North Fork ardent loyalty for Merlot, Chardonnay and Cabernet Franc, he also has a vision to experiment with European varietals like Albarino and Muscat. I ask him about Tempranillo. He notes that reds out here struggle to achieve maximum ripeness so the great grape of Spain is just not in the cards. Martin guided me through wines from tank, barrel and at the winery’s tasting bar. Wine and food captures most of my imagination and this space is in tune with that straight and narrow path. Diversions are always present, but rarely of Pinterest. This past weekend I came across something new in beer. Not so much in terms of brand or flavour, but in closure. Molson Coors has launched a wide mouth can with a resealable screw cap closure. I am certainly not a behemoth beer company advocate but I do applaud the innovation. Three beers are being bottled, well canned, in this fashion. Coors Light, Molson Canadian and Coors Light Iced T. Coors Light in a can, well, that’s res ipsa loquitur. The MC absolutely resembles its Don Cherry self. The Iced T is quite refreshing, on the acrostic poetry, feminine side of beer and quite frankly, I don’t mind it at all. The can and closure are the rub. Nothing new here, this beer in a can thing, but they get iced cold faster and hold that cold better than bottles. No light transfer means no skunk, so there is a reduction in spoilage. And while the larger opening certainly means you can drink more and faster, the resealable option means nothing can crawl inside between sips. The light weight can also floats so they are perfect for camping and the cottage dock. If you want to read more about the new line, check this out and this. OK. Enough about suds. On to the main event. From Riverhead to Montauk, Jamesport to Southampton, the eastern edge of Long Island is a land of reverie. 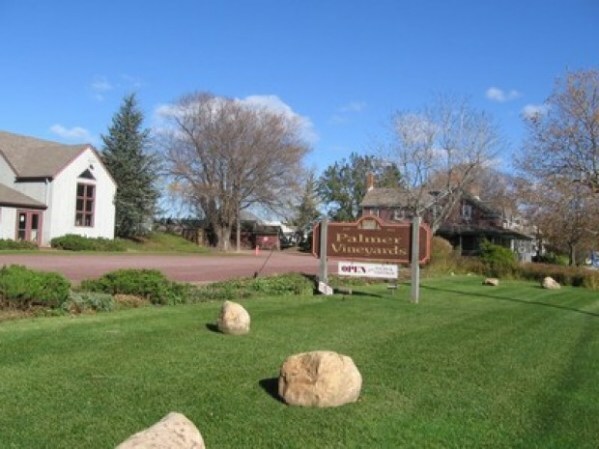 Imagine the fertile plateau of the Niagara Peninsula, the rugged beauty of Muskoka and the serenity of Prince Edward Island rolled into one magnificent package. A burgeoning wine route complimented by rolling farmland full of summer crops. Abounding tide pools, ponds, lakes, bays and rivers dominating the landscape, swarming with life. Secluded coves, inlets, marshes of scraggly grass and rushes around every turn at the end of long and winding country roads. “Don’t it feel like something from a dream.” I really like this place. As a foil to the frenetic pace of Manhattan, the eastern island presents as a modal, perfect, progressive and passive area of unlimited exploration. 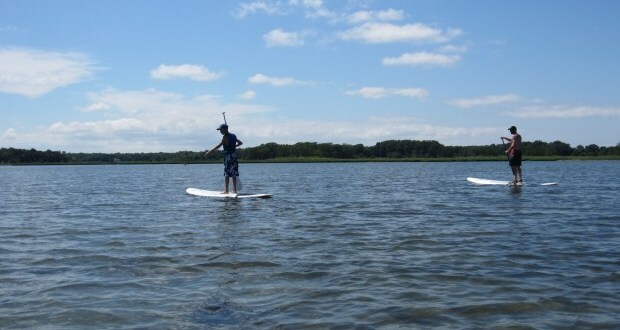 An effortless paddle by long board or kayak through Sag Pond. 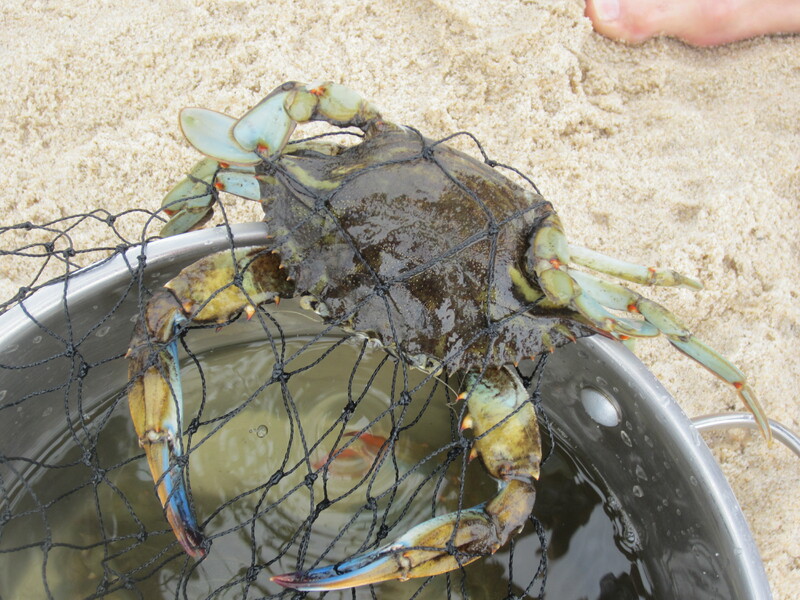 Baiting, netting and steaming the fresh catch of Blue Crabs out of Georgica Pond. 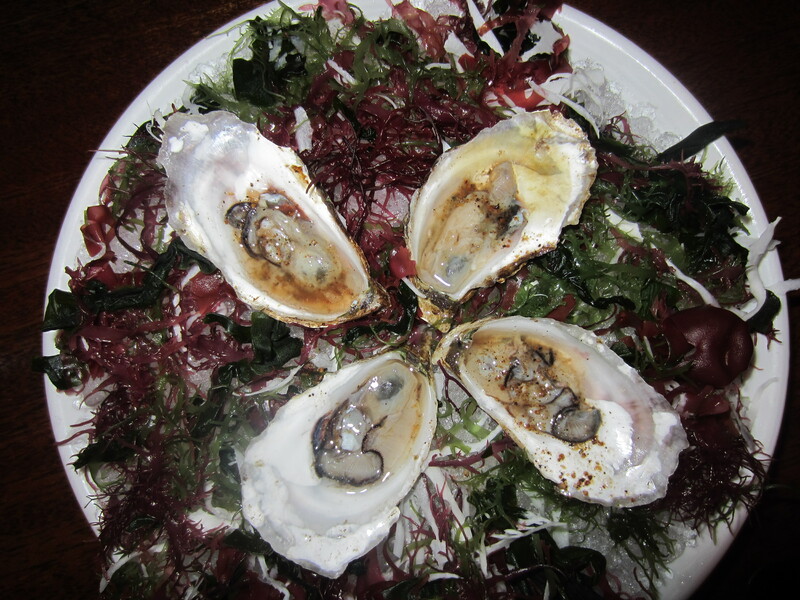 Filling oneself with the ocean’s bounty and tasting through North Fork’s future stars wines. 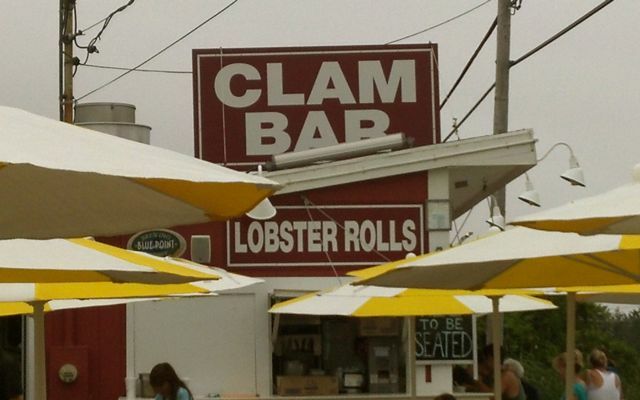 Lobster maintains its status at the gastronomic epicentre of the east coast. Clams are everywhere, crabs too. 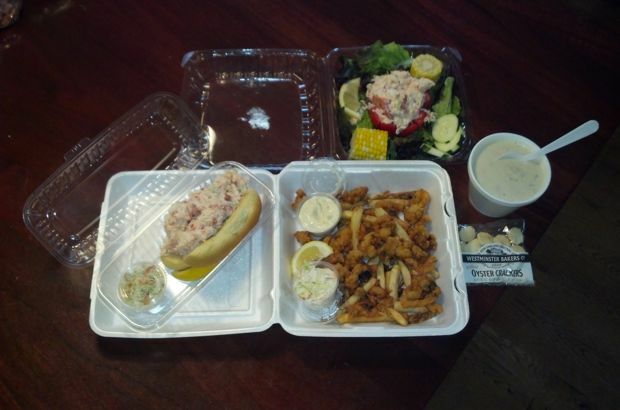 The quintessential lunch snack is the Lobster Roll. Made from the simplest preparation, the fresh pulled meat is crammed to overflowing in its whitest of soft bread, hot dog like roll. A deliquescent treat without parallel. Add 6 cups of water to a large stock pot, fit with a colander. Bring to a boil, than lower to simmer. Put in lobster and steam for eight minutes. Remove and cool. Make the mayo. Mix Dijon with lemon juice. Slowly drizzle oil while whisking until fully emulsified. Chop celery into fine dice and mix in to mayo. Add parsley. Season with salt & pepper. Crack and remove all lobster meat. Roughly chop the large pieces and stir into mayo. Scoop lobster mixture into two buttery, soft, white rolls.